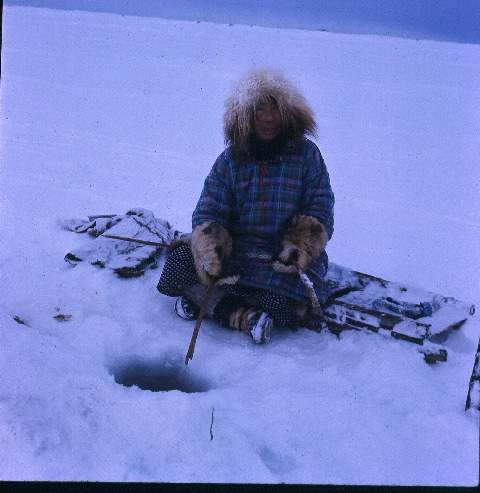 Ice fishing is a popular past time and subsistence activity in Shishmaref during the winter. Note to readers: I've never actually gone ice fishing in Shishmaref. I've only, so this post might lack the usual TAT expertise. My apologies. Other note to readers: This picture was taken decades ago in Shishmaref. I got it from our librarian Bill Nayokpuk. You will notice that the "fishing rod" is a small piece of wood. That piece of wood is usually referred to as an ice fishing hook, even though a hook is only a small part of the apparatus. 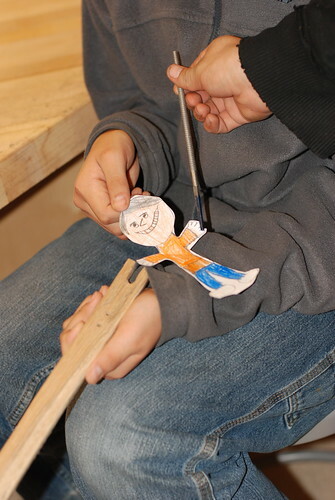 My kiddos got to make ice fishing hooks during Inupiaq Days, and Flat Stanley joined in on the fun. They started by using a file to make an indentation down the length of the wood. FS did a great job filing, even though the file was as tall as him. I got to give the filing a shot too. My kids totally cracked up. Let's just say it's harder than it looks. Hence the look of extreme concentration. The next step is to sand the wood so that it's nice and smooth. 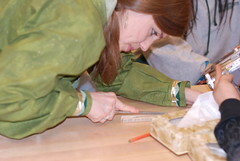 FS got to master the use of sandpaper and, uh, the clampy things. 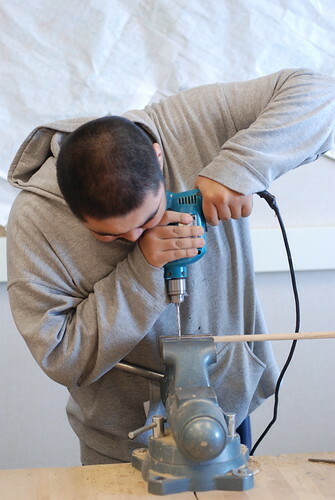 Once the wood is smooth, you have to drill a hole to tie the fishing line through. My high school boys made sure FS was instructed on proper use of the drill. 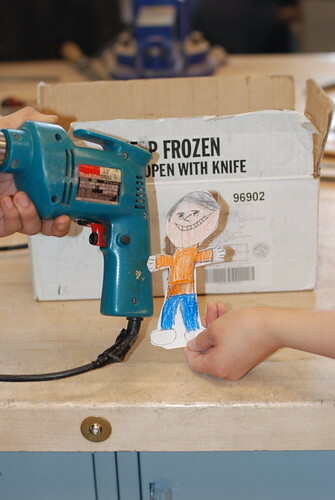 Power tools can be fun! FS wasn't able to take his finished hook fishing, but he can rest assured that his efforts helped secure a yummy dinner for somebody. 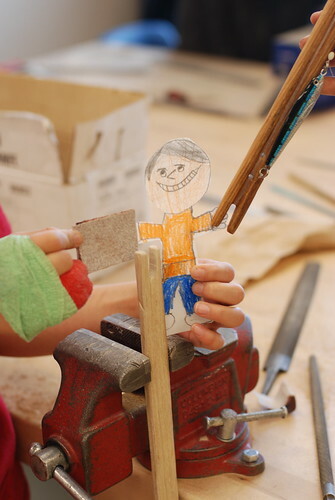 Note to readers: one more Flat Stanley post coming up (in time for the due date). Stay tuned!